If you depend for your news on the New York Times you have been subjected to a drumbeat of article attacking Bernie Sanders -- and the conclusion of everyone "serious" that his economics are daft. In particular, you would "know" that four prior Chairs of the President's Council of Economic Advisers (CEA) (the Gang of Four) have signed an open letter to Bernie that delivered a death blow to his proposals. Further, you would know that anyone who dared to disagree with these four illustrious economists was so deranged that he or she was acting like a Republican in denial of global climate change. The open letter set its sights on a far less famous economist, Gerald Friedman, of U. Mass at Amherst. It unleashed a personalized dismissal of his competence and integrity. Four of the Nation's top economists against one non-famous economist -- at a school that studies heterodox economics. That sounds like a fight that the referee should stop in the first round before Friedman is pummeled to death. But why did Paul Krugman need to "tag in" to try to save the Gang of Four from being routed? Krugman proclaimed that the Gang of Four had crushed Friedman in a TKO. Tellingly, Krugman claimed that anyone who disagreed with the Gang of Four must be beyond the pale (like Friedman and Bernie). Indeed, Krugman was so eager to fend off any analysis of the Group of Four's attacks that he competed with himself rhetorically as to what inner circle of Hell any supporter of Friedman should be consigned. In the 10:44 a.m. variant, Krugman dismissed Bernie as "not ready for prime time" and decreed that it was illegitimate to critique the Gang of 4's critique. In Sanders's case, I don't think it's ideology as much as being not ready for prime time -- and also of not being willing to face up to the reality that the kind of drastic changes he's proposing, no matter how desirable, would produce a lot of losers as well as winners. And if your response to these concerns is that they're all corrupt, all looking for jobs with Hillary, you are very much part of the problem. The implicit message is that four famous economists had to be correct, therefore anyone who disagreed with them must be a conspiracy theorist who is "very much part of the problem." Paul doesn't explain what "the problem" is, but he sure makes it sound awful. Logically, "the problem" has to be progressives supporting Bernie. Two hours later, Paul decided that his poisoned pen had not been toxic enough, he now denounced Sanders as a traitor to the progressives who was on his way "to making Donald Trump president." To point out the problems in the Gang of Four's attack on Friedman was to treat them "as right-wing enemies." Why was Krugman so fervid in its efforts to smear Friedman and prevent any critique of the Gang of Four's smear that he revised his article within two hours and amped up his rhetoric to a shrill cry of pain? Well, the second piece admits that Gang of Four's smear of Friedman "didn't get into specifics" and that progressives were already rising in disgust at Paul's arrogance and eagerness to sign onto a smear that claimed "rigor" but actually "didn't get into specifics" while denouncing a scholar. Paul, falsely, portrayed Friedman as a Bernie supporter. Like Krugman, Friedman is actually a Hillary supporter. Sanders needs to disassociate himself from this kind of fantasy economics right now. If his campaign responds instead by lashing out -- well, a campaign that treats Alan Krueger, Christy Romer, and Laura Tyson as right-wing enemies is well on its way to making Donald Trump president. If we combine both of Paul's screeds we see that the only way to disagree with a prominent economist is to demonize them as either "corrupt" or "enemies." They are apparently inerrant. Paul was eager to use "authority" raised to the second power (the Gang of Four plus both barrels -- two hours apart -- The "Full Krugman") to prevent anyone actually looking at the Gang of Four's letter and Friedman's study. Indeed, as I was finishing this first article in a series on their smear I found that Krugman has tripled down on his smear of Friedman with a Sunday column. Alas, Krugman ran into Jamie Galbraith, who is not susceptible to Paul's edicts of intimidation. Jamie's piece is wonderfully concise and should be savored in its entirety. But here are the two key takeaways. Jamie destroyed the Gang of Four and Krugman. Jamie made two simple points. First, Friedman is a supporter of Hillary Clinton, not Bernie. That means there is every reason to believe he did not engage in "voodoo" economics as Krugman charged in order to help Bernie. It also means that Paul's demand: "Sanders needs to disassociate himself from this kind of fantasy economics right now" is bizarre. Why would Sanders need to disassociate himself from a Hillary supporter? What the Friedman paper shows, is that under conventional assumptions, the projected impact of Senator Sanders' proposals stems from their scale and ambition. When you dare to do big things, big results should be expected. The Sanders program is big, and when you run it through a standard model, you get a big result. That, by the way, is the lesson of the Reagan era -- like it or not. 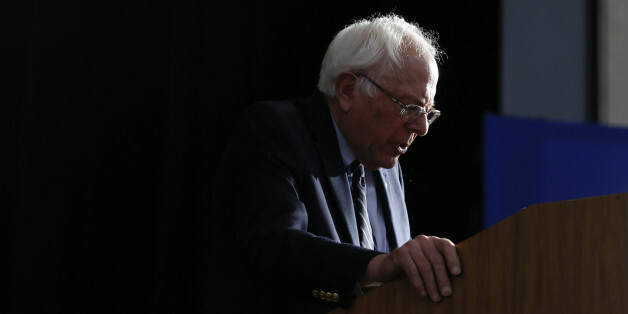 It is a lesson that, among today's political leaders, only Senator Sanders has learned. Give the conventionality of Friedman's study, using a methodology that the Gang of Four and Paul all embrace, what accounts for the mocking, dismissive tone of the Gang of Four's letter and Krugman's rhetorical race to the bottom with himself to demonize Friedman and Bernie? One might assume that Friedman had made a glaring error and that the Gang of Four had discovered the error in the course of their rigorous review of his modeling of Bernie's proposals. We are concerned to see the Sanders campaign citing extreme claims by Gerald Friedman about the effect of Senator Sanders's economic plan -- claims that cannot be supported by the economic evidence. Friedman asserts that your plan will have huge beneficial impacts on growth rates, income and employment that exceed even the most grandiose predictions by Republicans about the impact of their tax cut proposals. That's how the Gang of Four leads, and those two sentences are an enormous "tell" in the sense that word is used in poker. They are not attacking him for the model he used, they are not attacking him for his inputs, and they are not attacking him for a computation error. They are attacking him because their own models predict that Bernie's plan would produce "huge beneficial impacts." To state what should be obvious to any economist, much less the Gang of Four and Krugman, that is not a logical criticism of Friedman or Bernie. The Gang of Four and Paul's criticisms are historical. When modest economic measures are taken to spur growth we observe only modest impacts on growth. That is not a logical argument against Friedman modeling Bernie's proposals. Again, I'm perfectly open to a critique that says the standard models are so badly flawed that such a projection should not be relied upon, but that is not what the Gang of Four and Krugman do. They love the flawed models. Orthodox economists just hate the results of Friedman's model, for the results support Bernie, rather than Hillary. Worse, they show that orthodox economists' claims that the government can do little good is a myth. They set out to kill the messenger, Friedman, even though Friedman shares their support for Hillary. The Gang of Four and Krugman's reaction to Friedman's use of their own models has an odd, disturbing parallel made famous by my colleague Randy Wray. "I think there is an element of truth in the view that the superstition that the budget must be balanced at all times [is necessary]. Once it is debunked [that] takes away one of the bulwarks that every society must have against expenditure out of control. There must be discipline in the allocation of resources or you will have anarchistic chaos and inefficiency. And one of the functions of old fashioned religion was to scare people by sometimes what might be regarded as myths into behaving in a way that the long-run civilized life requires. We have taken away a belief in the intrinsic necessity of balancing the budget if not in every year, [then] in every short period of time. If Prime Minister Gladstone came back to life he would say "uh, oh what you have done" and James Buchanan argues in those terms. I have to say that I see merit in that view." Orthodox economists are appalled by federal government deficits and stand in terror at the possibility that the public might ever understand how much the government could accomplish for the benefit of the American people if it got over the myths that a government with a sovereign currency is really just like a regular household and cannot run persistent deficits. Friedman's modeling of Bernie's plan is so terrifying to the Gang of Four and Krugman because it shows -- under the orthodox economic models -- that the government can be a powerful engine of producing "huge beneficial impacts." What is required is that our President has the nerve to junk the orthodox economic myths. As Jamie Galbraith wrote, "When you dare to do big things, big results should be expected." The Gang of Four then evince another tell. They decry the fact that the standard models predict "huge beneficial impacts" from Bernie's plan because the use of standard models "undermines our reputation as the party of responsible arithmetic." The concept of "responsible arithmetic" is wondrous. Notice that they do not claim that Friedman's "arithmetic" is inaccurate in the sense of making a computational or data input error. Nor do they attack his use of the conventional models they embrace. No, their criticism is that they hate the results of Friedman's accurate arithmetic. They point out no errors in Friedman's arithmetic. There is no indication that they ever checked out the accuracy of how he modeled the impacts of Bernie's plans. We have applied the same rigor to proposals by Democrats, and worked to ensure that forecasts of the effects of proposed economic policies, from investment in infrastructure, to education and training, to health care reforms, are grounded in economic evidence. I certainly hope that statement is a knowing lie, for otherwise they owe an enormous apology to the Republicans. The Gang of Four claims that they apply "the same rigor" to modeling policy proposals by Democrats as they do in their modeling of proposals by Republicans. Their claim is that that "rigor" has exposed Friedman to be someone who is gaming the arithmetic in a shockingly dishonest manner to help Bernie. I've already noted the embarrassing failure to reveal to their readers that Friedman supports Hillary, not Bernie. But what grievous errors of arithmetic did Friedman commit that were disclosed by the Gang of Four's "rigor[ous]" review of his modeling? The Gang of 4, and Krugman, present no errors, and no analysis of Friedman's study. They present no evidence that they conducted any review, much less a "rigor[ous]" review of Friedman's modeling that disclosed any arithmetic errors. They literally simply hate the results of their own "standard" models because they show that Bernie's plan produces "huge beneficial impacts." Jamie Galbraith called the Gang of Four and Paul out on their smear and their disgusting effort to substitute "authority" for logic, integrity, and intellectual honesty. The effort to use authority to destroy Friedman's reputation, with no identification of a single arithmetic mistake in using their own models is reprehensible. The Gang of Four and Krugman should retract their letter and blogs and personally apologize to Friedman. It is despicable to abuse authority and status. Paul is famous for his arrogance and his dismissal of the work of economists he considers to be lesser in status. This makes his imperious demand that no one critique the Gang of Four's smear of Friedman all the more ironic, because Laura D'Andrea Tyson is a member of the gang. Perhaps Paul has forgotten his smear of Ms. Tyson when, in 1993, she was the first woman appointed to chair the President's Council of Economic Advisers. The chairman of the Council of Economic Advisers has generally overshadowed the two other members, working directly with the President while the others have stayed in the background, their names almost unknown to the public. But as a macro-economist, Mr. Blinder is likely to play a prominent role on the council, since he is considered more suited than Ms. Tyson to performing a crucial task of the council: assessing the impact of proposed policies. "I will be vastly reassured if Alan Blinder is named to the Council of Economic Advisers," said Paul R. Krugman, a macroeconomist at the Massachusetts Institute of Technology who had himself been a candidate for the chairmanship. "He would provide the necessary analytical skills that Laura Tyson lacks." Mr. Krugman and many other macroeconomists, particularly those in academia, have come to consider the three-member Council of Economic Advisers as their "embassy" in Washington. Because they view the council as their chief means of influencing Administration policy, they urged Mr. Clinton to appoint a top macroeconomist who would properly practice their skills and represent their views. Her appointment also raised the issue of rankings within the profession. Mr. Krugman and other economists argued that after 12 years of Republican Administrations, the chairmanship of the council should go to one of the Democrats among the ranks of the top macroeconomists. "Despite what people say about economists always disagreeing with each other, there is agreement on rankings within the profession," Mr. Krugman said. There is in fact "a pecking order" that has closed off Krugman to many important advances for decades because the advances were not made by people he considers to be sufficiently exalted in his "pecking order." I am sure, however, that Ms. Tyson feels the irony that Krugman has now elevated her so high in his pecking order that no one is permitted to critique the Gang of 4's smear of Friedman. Note that Krugman's dismissal of Tyson was based on the fact that she had no expertise in macroeconomic modeling -- precisely the skill necessary to critique Friedman's modeling of Bernie's economic proposals. Paul can't even maintain logical consistency in his smears. Ms. Tyson may wish to reflect on Krugman's earlier sexist smear of her, based on status. I hope doing so will prompt introspection about her own role in smearing Friedman. But you will learn none of these things in the New York Times, where the Upshot column, without any analysis, treats the smears of Friedman as revealed truth. Upshot does not mention Jamie Galbraith's destruction of the Gang of Four and Krugman. The stories inaccurately portray Friedman as a Bernie rather than a Hillary supporter. The column inaccurately claims that Friedman has made extreme assumptions. The results do not flow from idiosyncratic assumptions by Friedman. The "huge beneficial impacts" flow from the standard models and the far larger magnitude of Bernie's plans to revive the economy. Yes, the Davos Democrats that Krugman once routinely reviled in Washington, D.C. do often roll their eyes at Bernie. The Davos Democrats, as Krugman once aptly pointed out, have been wrong about a vast range of economic issues. They are not "rigorous," they are arrogant, errant, and represent the Wall Street wing of the Democratic Party. A considerable number of Americans have figured that out. Read Tom Frank's new book (Listen, Liberal) if you want the revolting details.